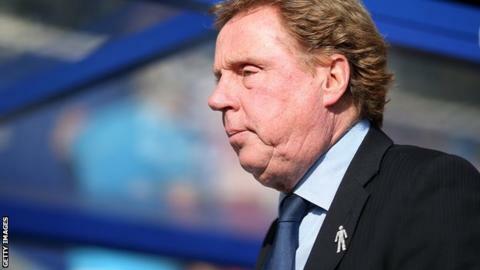 Queens Park Rangers boss Harry Redknapp says Bournemouth are well placed as he prepares to return to Dean Court for the first time competitively. The 67-year-old, who managed the Cherries between 1983 and 1992, returns to Dorset with the R's on Saturday. "It's good to see them doing so well now and the club is in great shape," he told BBC London 94.9. "They play fantastic football, are a good team and they have a chance for the play-offs if they get a run going." Redknapp won the Division Three title with Bournemouth in 1987 and took the south coast side into the second tier for the first time in their history. Their 12th-placed finish under the former West Ham manager in 1988-89 is the club's highest finish in their history. Current Cherries manager Eddie Howe, who played under Redknapp during his spell in charge at Portsmouth, would like to emulate that achievement and Redknapp holds the 36-year-old in high regard. "Eddie is a quiet lad but he knows the game and is a class boy off the pitch," he said. "I signed him at Portsmouth and he picked up an injury in the first game of the season [in 2002-03] and did his knee. "He has done an amazing job there. "He has got [assistant manager] Jason Tindall there with him and his dad Jimmy used to work for me. Jimmy was one of the main men behind Senrab boys club many years when and he worked for me at West Ham and did a great job. "Eddie and Jason are a great team. "I've said when I finish I'll end up buying a couple of season tickets at Bournemouth and go watch them play every week. I love going back there and watching matches." Redknapp took charge of over 460 games during his spell as Bournemouth boss and says his time there was "a great grounding" to start his managerial career. "We had 12 footballs at the start of the year and if you only had two at Christmas you didn't go out and buy any more. That was how it was," he said. "We had nowhere to train and used to train in Kings Park. Then the park keeper would come round on his bike and throw us off. "It was like being back at school when you were a kid living in the East End of London and people would come and nick our ball. "That's how it was every day; we'd find a bit of grass somewhere in the park, hope the parky wouldn't bother us and get on and train. "It was fantastic times and I was lucky as I had some great lads. "They really wanted to do well and we won the league [lifting the Division Three title in 1987] and went through the divisions. They were great days for me."